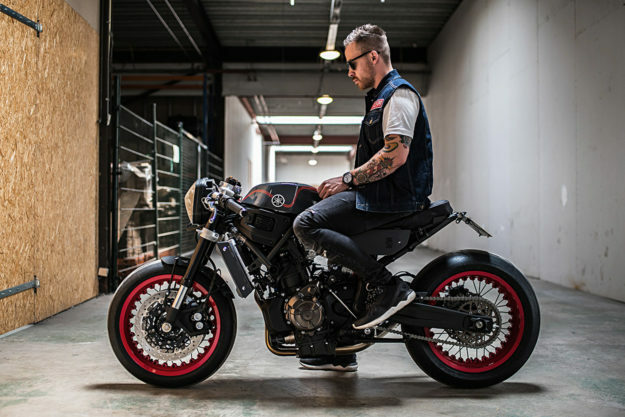 Ironwood Custom Motorcycles’ slogan is “Turning scrappy metal into gold.” And we saw the proof just last week—with a sharp-edged BMW cafe racer that almost fried our servers. 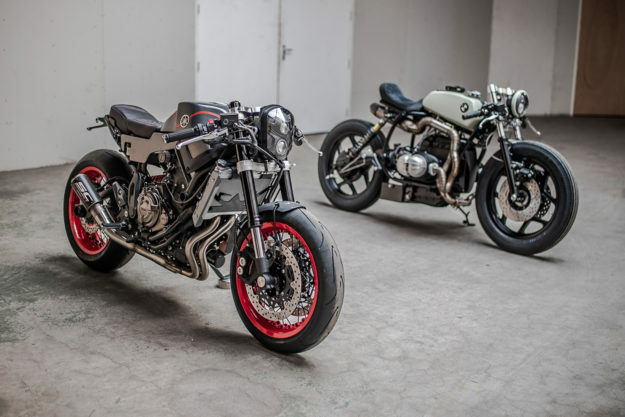 But while we were ogling the Beemer, Arjan van den Boom and his Amsterdam-based crew were already gearing up to unveil their next project. 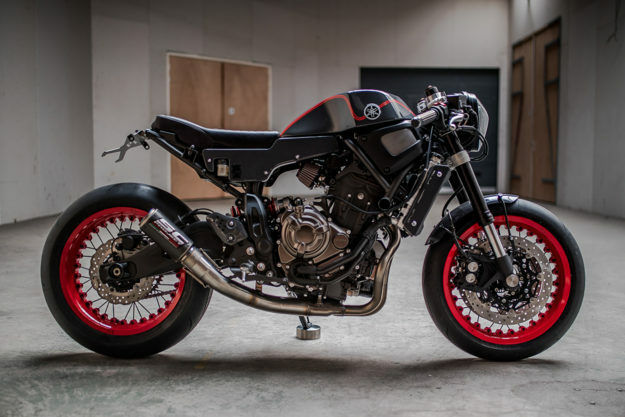 This time they started with a brand new donor—a mint fresh Yamaha XSR700. 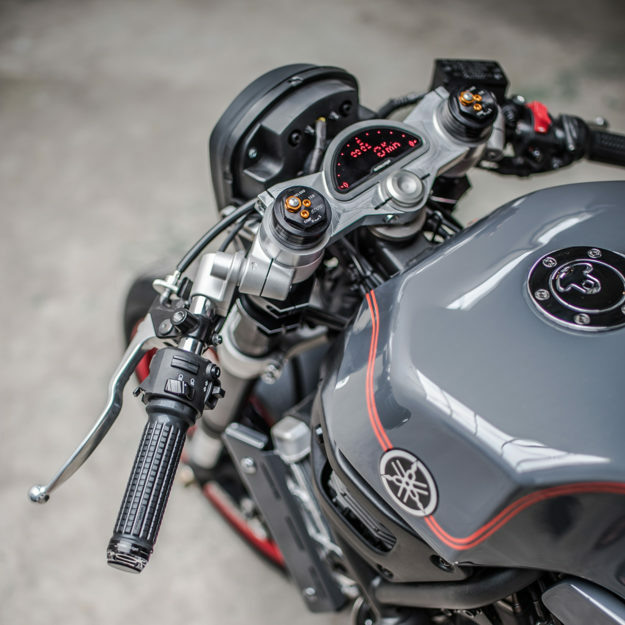 The XSR700 landed in their laps via Dutch watchmaker TW Steel, as part of the Sons of Time project. 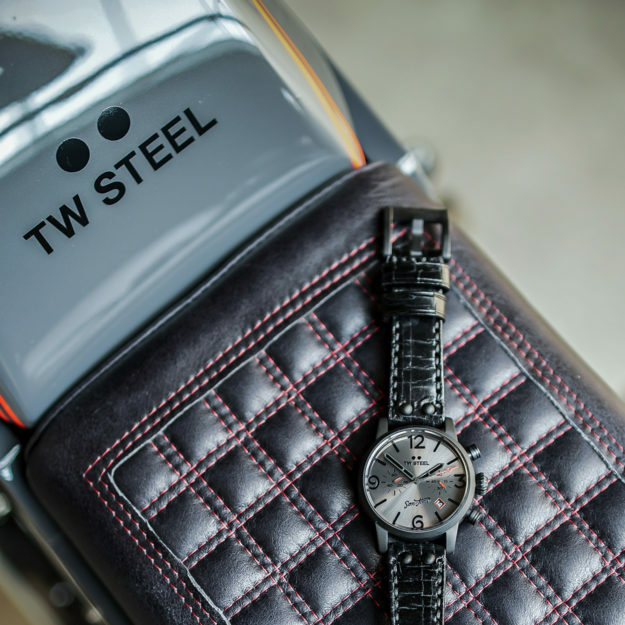 Working in collaboration with Yamaha, TW Steel pairs a new bike with a builder and creates a limited edition watch to match. Then it was time to massage the rest of the XSR into shape. 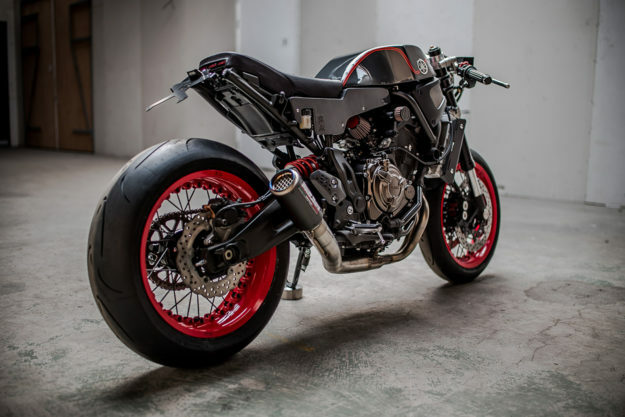 Just like with Yamaha’s own Yard Built program, TW Steel had asked that the frame not be cut or modded in any way—but they said nothing about the bodywork. 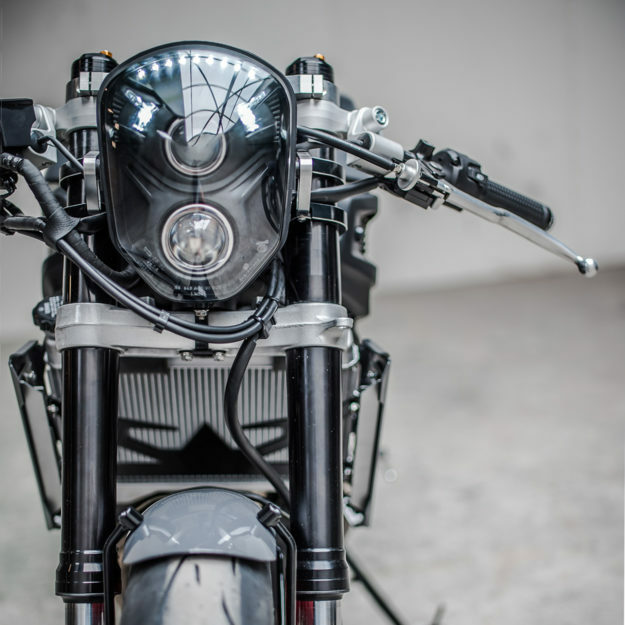 The XSR’s tank is actually a pair of metal covers hiding a fuel cell, but Arjan wanted a radically different look. So he ditched the whole arrangement, before designing a new tank and tasking Marcel van der Stelt with fabricating it from aluminum. Other one-off bits include the side covers, front fender, radiator guard, chain guard and headlight brackets. There’s a stout new seat up top, upholstered by Marcel Miller and equipped with small LED taillights in the rear. The end’s capped off with a pair of LED turn signals in the frame rails, and a Barracuda license plate holder. 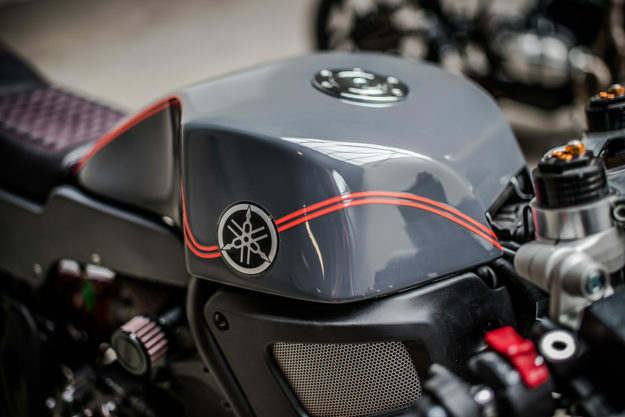 Ironwood have carried the XSR’s aggressive new stance through to the front end, with a gnarly dual projector headlight, and a Motogadget dash, recessed into the top clamp. 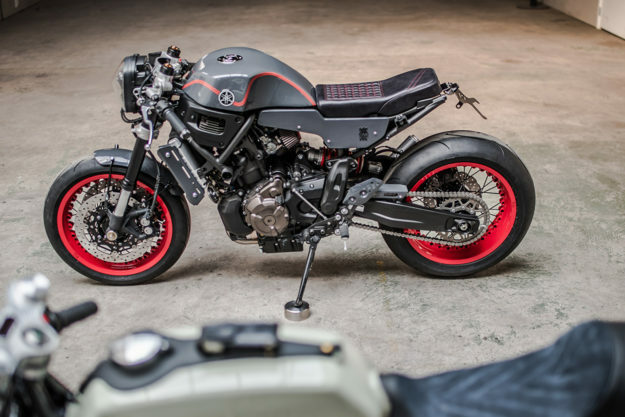 The grips and bar-end turn signals are also from Motogadget, and the clip-ons are from Tarozzi.